VtWProductions: No excuses Episode 280 - Return to Eorzea. Again. 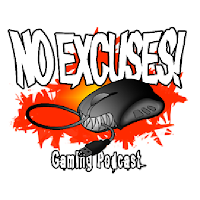 No excuses Episode 280 - Return to Eorzea. Again. This week, FFXIV once more! Riot has a new idea to expand the Esports scene, copy Football! The PS3 reaches the end of it's production life and suspicions of a PS4 price drop. Also, The guys get sucked back into Final fantasy XIV in the lead up to the new expansion, so how does it compare to Legion?